Based upon a full service Health Club , featuring the latest in Free Weight, Cardio and Aerobics offerings including personal training, massage therapy, tanning, retail pro shop and juice bar. Calculate Staff pay in either % of gross or hourly to cover any scenario for staffing of classes, personal training...edits to cover any size facility. The Health and Fitness market is now estimated to be in excess of $16.5 billion annually with more than 45 million members and as of December 2012 more than more than 27,000 facilities nationwide down from over 29,000 at the end of 2011. Facility growth peaked in 2007 and the Industry went through some consolidation during the recession as operators with over leveraged balance sheets went under or reorganized. 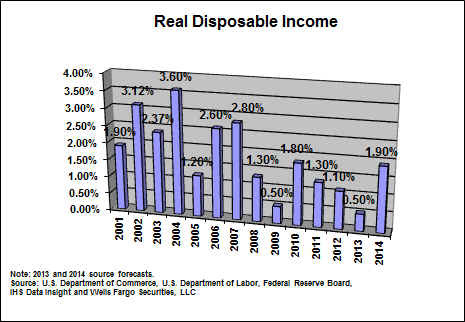 The Industry is tied directly to the health of the U.S. Economy and consumer disposable income. The CBO anticipates that the current recession, which started in December 2007, ended in the second quarter of 2009, making it the longest recession since World War II. Such growth compares to a 2.6% real rate of decline during 2009, the depths of the recession. The swing in performance from 2009 to 2010 was the widest since 1983, a period of 27 years. 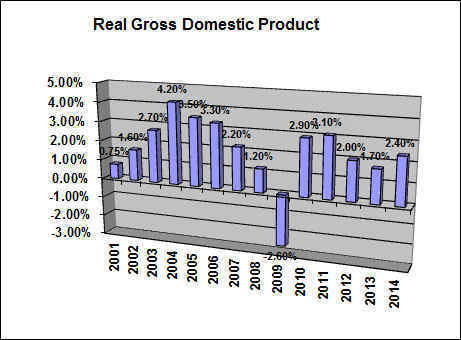 The increase in real GDP in 2010 primarily reflected positive contributions from private inventory investment, exports, personal consumption expenditures (PCE), nonresidential fixed investment, and federal government spending. Severe economic downturns often sow the seeds of robust recoveries. During a slump in economic activity, consumers defer purchases, especially for housing and durable goods, and businesses postpone capital spending and try to cut inventories. Once demand in the economy picks up, the disparity between the desired and actual stocks of capital assets and consumer durable goods widens quickly, and spending by consumers and businesses can accelerate rapidly. Although the CBO expects that the current recovery will be spurred by that dynamic, in all likelihood, the recovery will also be dampened by a number of factors. Those factors include slow wage and employment growth, high unemployment as well as a continued sluggish housing market. Current expectations by the CBO are for real GDP growth of 1.7% to as much as 2.25% in 2012 and as much as 4.1% in 2014. Starting a small business is always risky, and the chance of success is slim. According to the U.S. Small Business Administration, over 50% of small businesses fail in the first year and 95% fail within the first five years. Whether you are starting a new Health Club, are looking to raise additional capital to expand your currently profitable Club, or looking to evaluate and value your Club to sell, current statistics prove that you will do much better with a business plan than without. According to Dunn and Bradstreet the primary reasons for failure vary, but all of the reasons come under the category of poor planning. You are a part of the one of the most competitive Industries in the world. Your management decisions will decide whether your Club survives or thrives in the face of increased competition. The most important benefit of a business plan is that it sets the stage for the future of your Club as you want it to be positioned in the marketplace. A business plan will make it easy for your banker/investor to take action as he/she gains insight into the details of your Club and the goals that you have outlined. Potential investors can review your plan and decide whether or not to make an investment based upon the risk. You will benefit most as you study and gain detailed insight into your own operations. Updating and constantly reviewing your plan will give you more insight as both a manager and decision maker. 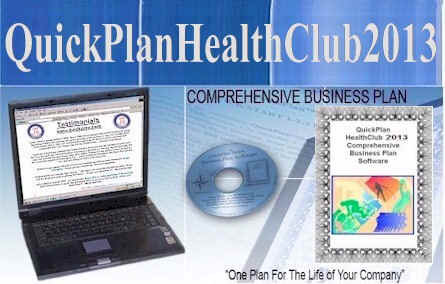 What are the benefits of purchasing this QuickPlan® "Health Club, Inc." comprehensive business plan package? TIME IS MONEY....We have estimated that it takes an average of 100 hours to research, and write a comprehensive business plan within any Industry. Creating and compiling the five year financial plan and forecasts including 5 years of Month to Month Break Even Analysis, Operating Budgets, Income Statements, Balance Sheets, Cash Flow Analysis, and Key Financial Ratio Analysis can take more than 20 hours of work by you or your accountant. Now consider sitting down in front of your computer to edit and fill in the details of an already written, researched and organized comprehensive Health Club business plan . Whether you are starting a Health Club are looking for expansion capital to open your second Health Club, or want to sell your multi-Club chain, you will be able to edit this plan into your own. 2013 /14Health Club Industry Analysis including growth rates by Region and State 1997-2012, Trends and Outlook 2014. Just updated in November of 2013. Starting with the, "before you sit down checklist , you will gather your information together to edit on your word processor. Pull up the Five Year "Big Picture" Health Club Financials Excel Work Book and insert the prices for your Member Ship and Training Class offerings, percentage splits with staff even booth rental is covered, operating expenses and fixed asset purchases that you need to open your doors. Now study your first year Cash Flow Analysis and your year one by month Break Even Analysis to answer the question of how much money you are going to need to get started and stay operational. All five years of financial statements are calculated and ready for printing and insertion into your plan. Once finished , print up your plan and simply place it into the three ring binder indexing it according to the pre-labeled index, included. 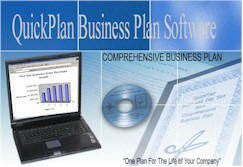 The cost of the above information would most likely run between $3,000.00 $5,000.00 if you were to contract a CPA/Business Analyst to write your plan and would probably not include all the information that QuickPlan® offers. Your special price of $195.00 (Plus shipping and handling) ensures that you will receive all the information you need to customize your individual plan with software and indexed hardcopy with binder. MicroSoft™ Word™ and Excel™ or MicroSoft™ Office™ are required. 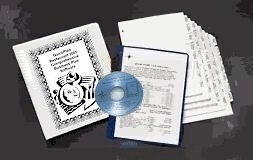 The cost of this QuickPlan® Package, hard copy , cd-rom and immediate email download is $195.00 USD plus shipping and handling, also available in download only format for $145 USD. Not available in any store, to order call 1-800-417-7017. Health Club/Industry Analysis including current 2013/14 Industry Analysis including club growth by State and Region 1997-2012, Trends and Outlook for 2014. Just updated in November of 2013. Sample local market segment and customer profile including sample Claritas demographic report of location's address giving local market demographics and customer profile for a 1, 3 and 5 mile radius. Targeted Customer profile, local competition, and business risks. Equipment Worksheets Covering; Pro Shop, Free Weights, Cardio Equipment, Tanning Equipment, Massage Therapy Equipment, Juice Bar, Childcare, Reception Area, Sales Area, Back Office. Make your first impression count and concentrate on getting your Club open!